Aspire Food Group is looking for an E-Commerce Manager. If you meet the requirements below, you will be eligible to apply via Digital Marketing Community. Develop and execute e-commerce marketing plan for our brand and product lines. Create and implement sales funnels and marketing automation. Manage and optimize digital assets such as text, graphics or multimedia for SEO. Build many ways to optimize the user experience across all brand websites. Increase our Amazon marketplace presence by tweaking online store details to reach the most customers; liaison with Amazon marketplace team. Cooperate with the technology department to establish site analytics. Target ads to potential customers based on data analysis of past sales, email lists and other relevant data sources. Keep a pulse on online marketing and industry trends. Measure and evaluate new emerging media or technologies and make recommendations for their application within Internet marketing or search marketing campaigns. Collaborate with the CEO and the product development department to ensure marketing strategy is in alignment with the allocation of finished goods. Ensure sales goals, KPIs and milestones are met while staying within budget. Manage budget on ad spends. Bachelor’s degree in marketing, IT or a related field. Minimum 6 years of experience in web development or digital management. Proven track record of growth using (Paid Ads). Proficient knowledge of designing effective tools and tactics to capture new emails, optimize LTV and improve retention. Advanced experience in designing sales funnels and marketing automation. Deep understanding of the management of firms and teams that specialize in (SEO, SEM, Amazon Marketplace and web design/architecture). Expert working skills in using reporting and analysis tools such as (Google Analytics, UX or Adobe). Solid organizational and communication skills. Aspire Food Group is a global food-tech company based in Austin, Texas. 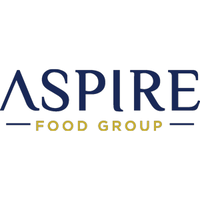 Aspire Food Group address food security and food sustainability by developing pioneering technology to commercialize the cleanest and most ethical source of animal protein in the world.